The Itty-Bitty Burroughs Mouse is attracted only to Limelight Cheese. No Charms are required to attract the Itty-Bitty Burroughs Mouse. 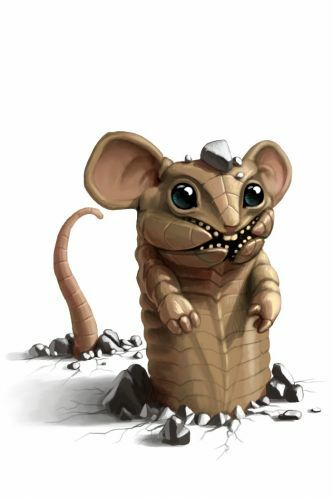 Arming the Mining Charm provides a power boost against Digby Dirt Dwellers and increases the chance of encountering the Itty-Bitty Burroughs Mouse. The Itty-Bitty Burroughs Mouse is weakest to Physical weapons. Hunting with other power types will be less effective. Hunters can encounter the Itty-Bitty Burroughs Mouse only in the Town of Digby. The Itty-Bitty Burroughs Mouse drops Living Shards as loot. Attraction info and special event loot drops for the Itty-Bitty Burroughs Mouse can be found at the individual event location pages. 24 March 2010: The Itty-Bitty Burroughs Mouse is released for the first time.